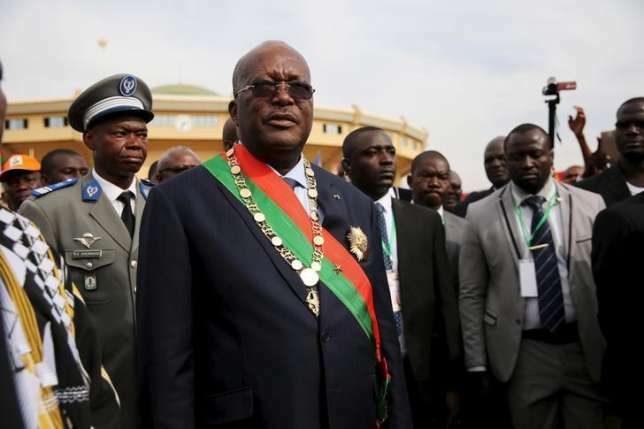 Burkina Faso's president said there may be criminal charges after an audit found the transitional government had improperly awarded land to government members and their families, and misspent $11 million. Voters elected Roch Marc Kabore president of the landlocked West African country in November, ending a one-year transitional government that came to power after popular protests overthrew longtime ruler Blaise Compaore. The prime minister of the transitional government, Yacouba Isaac Zida, and current prime minister Paul Kaba Thieba had both requested the audit, the report said, which was published this weekend. In total, 18 of 52 parcels of land in the upscale neighbourhood of Ouaga 2000 were accorded to people close to the transitional government, including one plot that was given to Zida through his foundation, the audit said. Zida wrote to the national company of urban land management to say he would return the land if the money he had paid for it was reimbursed to him, the ministry of habitat said earlier this month. The High Authority of State Control and the Fight Against Corruption (ASCE) said that 53 percent of public commissions were obtained through opaque means and 6.4 billion CFA francs ($11 million) were misappropriated. The audit said the discrepancies stemmed from spending on fuel and mismanagement of certain accounts. "It is the black mark of the transition and I believe there is something that can be done," Kabore said on television late on Tuesday. "Concerning the government, we have read the audits. We have asked everyone who has been concerned (by it) to respond and when there is a complete report, it is ASCE's responsibility to start the judicial process." It was not immediately clear when the final report would be released. ASCE said in the audit that the opaque manner in which land and contracts were awarded had been ripe for corruption, collusion and budgetary waste. "Preferential treatment was given to certain authorities ... regarding plots of land in Dec. 2015," it read. Nearly half of the population of Burkina Faso, a producer of gold and cotton, live in poverty, according to the World Bank. Many voters cited corruption and economic development as critical issues during last year's presidential vote.